The normal prime range in the Sony FE mount is beginning to get quite crowded. Today I’m looking at the latest f/1.4 lens in this range, the Zeiss FE 50mm f/1.4 Planar T*, which is the fastest of the native FE mount normal primes. Sony also offers the excellent 55mm f/1.8, the 50mm f/1.8, and the 50mm f/2.8 Macro, while Zeiss offers the Loxia 50mm f/2 and Rokinon has an autofocus 50mm f/1.4 as well. There is a lot of choice in this segment now, but Sony and Zeiss think that many serious shooters will pony up the $1,498 for this lens due to exceptional optical quality. Let’s find out if they succeeded in creating something that is truly worth that exorbitant price. The Sony Zeiss FE 50mm f/1.4 is a tank of a lens. 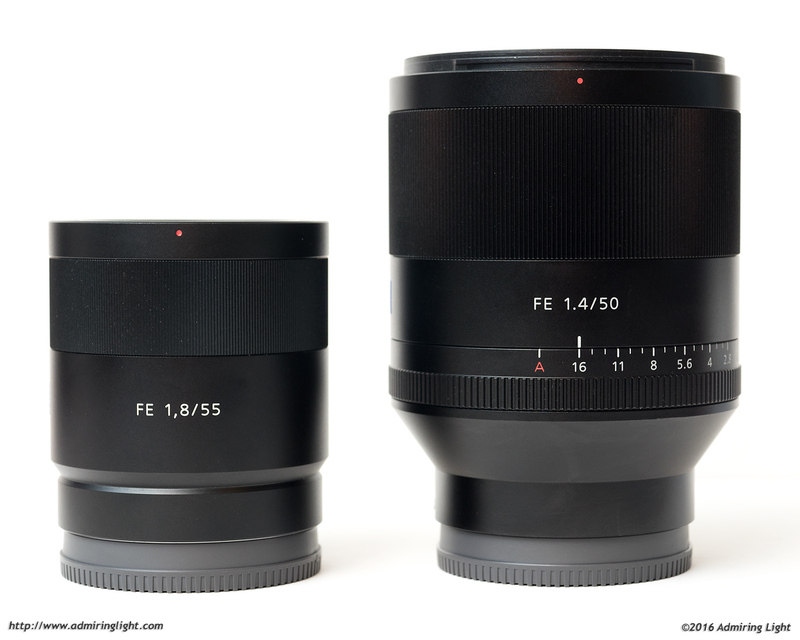 If you’ve handled the FE 35mm f/1.4, the construction is essentially identical. It’s a very large, heavy lens that is constructed entirely of metal, with a metal ribbed focus ring and solid switches. The 50mm f/1.4 isn’t quite as long or heavy as the 35mm f/1.4, but it still dwarfs a lens like the FE 55mm f/1.8, as you can see below. The FE 50mm f/1.4 is larger than most 50mm lenses with an f/1.4 aperture, but lenses of this size aren’t as uncommon as they once were, as lenses have grown a bit recently to better correct for lens aberrations. The Zeiss 50mm f/1.4 also follows the 35mm f/1.4 (and the 85mm f/1.8 GM) by including a knurled aperture ring. I’m a big fan of aperture rings on lenses, and it’s one of the things I like most about the Fujifilm X series, but on the Sony FE lenses, it causes more confusion than anything. Since only a handful of FE lenses have aperture rings, it simply adds a different control paradigm that confuses my muscle memory when switching lenses. The aperture ring does have very nice damping and solid detents at 1/3 stop increments. The aperture ring is also very nice for video shooters, as there is a switch that can be flipped to remove the detents entirely, allowing for smooth and silent aperture control during video use. The broad ribbed focus ring is well damped and very smooth to operate. The lens features a switch to toggle the aperture ring detents. While the FE 50mm f/1.4 isn’t a small or light lens, it handles reasonably well on any of the Sony Mark II bodies with the larger hand grip, though it’s a bit unwieldy for the smaller grips in earlier E-Mount cameras. The biggest issue is the added weight in the camera bag. At over a pound and a half, you definitely feel the lens in your bag. For my personal shooting, I prefer the much more compact and lightweight 55mm f/1.8, but as you’ll see on the next page, there are definitely reasons to choose this lens over the 55mm. The FE 50mm f/1.4 has a reasonably fast and quiet autofocus motor, and I had few issues during the review period. In good light, the lens locks very quickly and accurately. In dimmer light, as is the case with most lenses on the A7 II, focus slows down and occasionally can have some trouble locking on lower contrast targets, but overall I found the AF on par with the FE 55mm f/1.8. 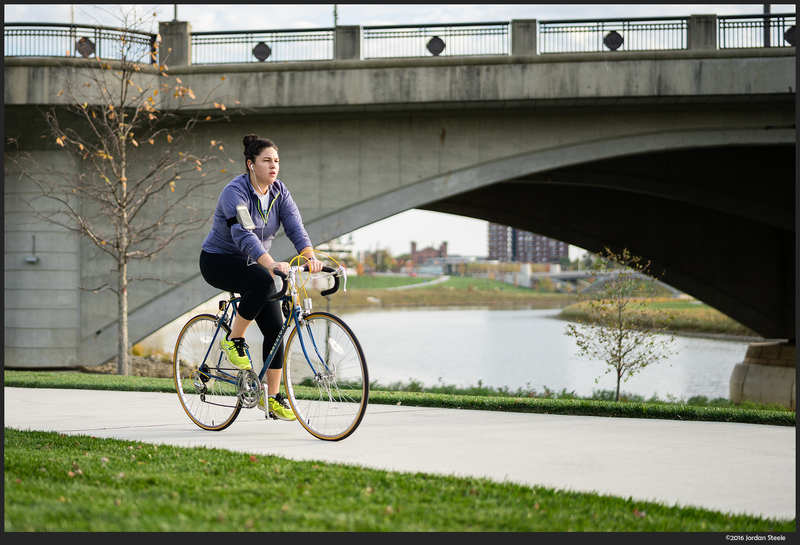 For moving targets, the lens is fast enough to keep up with most casual action shooting, such as the shot of this woman biking below, but it has a bit more trouble when something is rapidly approaching the lens. Now let’s dive into the real meat of the review, and see if the optics can justify the high price of the lens. Great review, great pictures, thanks a lot. The cons are sadly important for me, because damn, I’d like one… The FE55/1.8 is already an excellent lense, I love it, but the rendering of this one is really beautiful. Thanks for this review. One question: I had the impression you were going to provide some photos with the 55 1.8 for comparison, but I don’t see them. Have I missed something? There is a link to the comparison in the Sharpness section of the review. It’s a separate article, and is also right below this review on the main page. I could not agree more. I own this lens and shoot on an A7R II. This lens completely blows my mind. Unbelievably sharp wide open, beautiful bokeh, simply the best, and I’ve shot different formats / systems over many years. 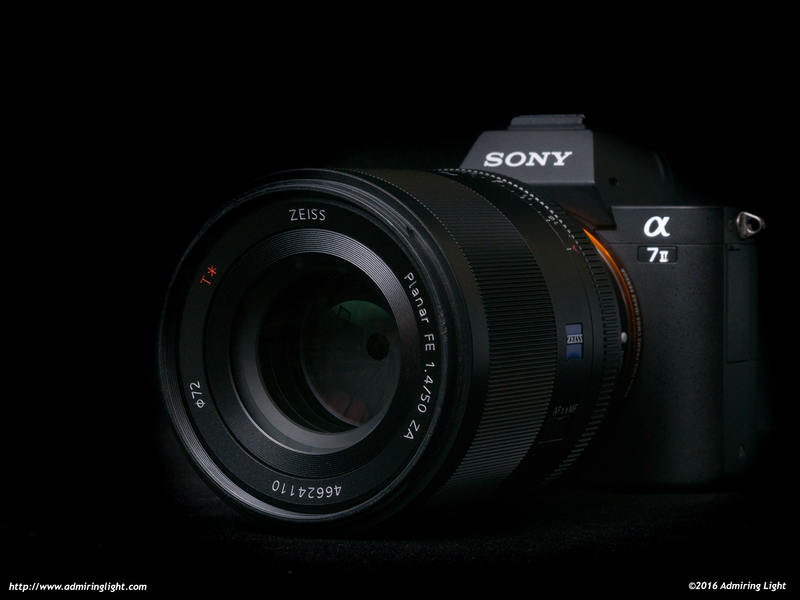 Kudos to Sony and Zeiss. Please give us more primes in the FE mount with AF (eye AF on this combo is out of this world). 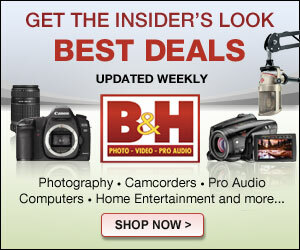 Another excellent article to showcase your many beautiful images. I especially enjoy the “Columbus Riverfront” panorama – it really has some WOW! factor. It’s one of those images that slows the viewer down in order to take in all of the detail. Perfect timing/placement of the lone cyclist. If you use an A7 ii for testing focus speed. 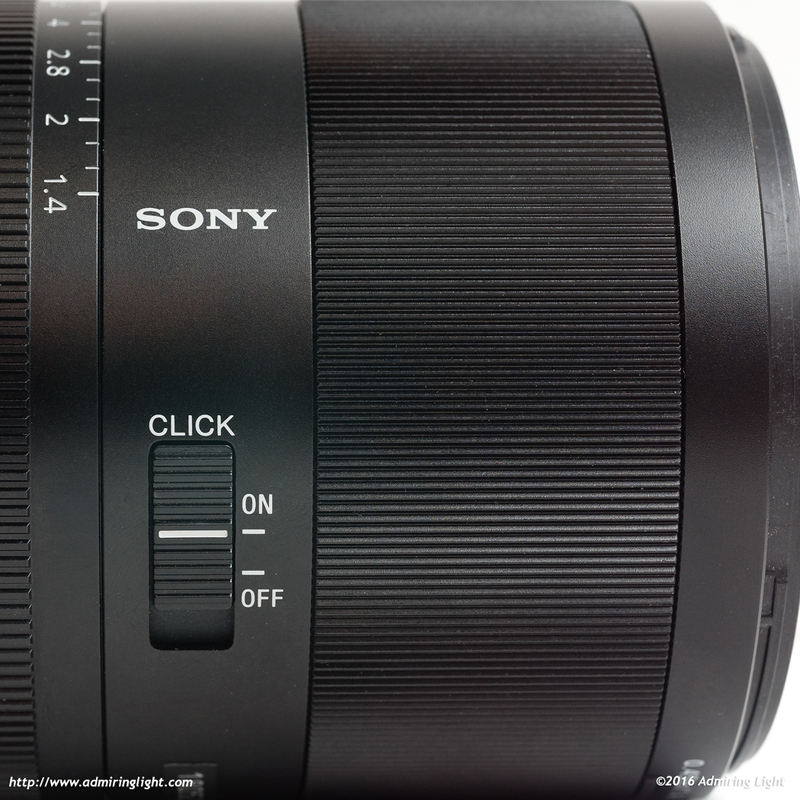 Almost all Sony lenses will be slow and lack low light focus. It’s an issue that camera has. Please keep that in mind. Maybe you should look into an A7R ii, A6000, A6300, or A6500. They are completely different level of low light focus and speed to acquire subject. I have an a6000, and I account for AF differences between bodies when I evaluate it. Still, Some lenses AF just fine in lower light on my A7 II, so if it’s a noticeable change from something like my 28/2 or 55/1.8, which both do fine (as does the 85/1.8 for the most part), then I’ll take notice. i personally own this 50 1.4 as well. lovely image quality and bokeh i must say. but i am not sure if its sample variation, the af on my copy has quite a bit of hunting and difficulties on accurate locking. i would include imperfect AF as one of the cons, especially if one wants to do photography with a fast moving object. why i bought this instead of the 55 1.8: it cannot be quantified/measured, but i feel the bokeh of this lens much smoother, creamier and aesthetically pleasing compared to the 55 1.8, which is tact sharp and but renders bokeh in a very clinical and uninteresting fashion. Thanks for the awesome review. I ordered this lens and can’t wait to get my hands on it. Love your image of the Supreme Court. Pingback: ??FE??????????? Planar T* FE 50mm F1.4 ZA??????? | ????????????? Pingback: ??? Planar T* FE 50mm F1.4 ZA ??????????? | ????????????? Pingback: ?? ?Planar T* FE 50mm F1.4 ZA??????????????????????? | ???????????? ?